Months after announcing the official casting and giving Glee star Melissa Benoist the lead role in the series, CBS, Berlanti Productions, DC Entertainment, and Warner Bros. Television have now officially released the “First Look” trailer to their upcoming new television series based on Superman’s cousin Kara Zor-El, who’s better known to DC Comics fans and readers as “Supergirl“! 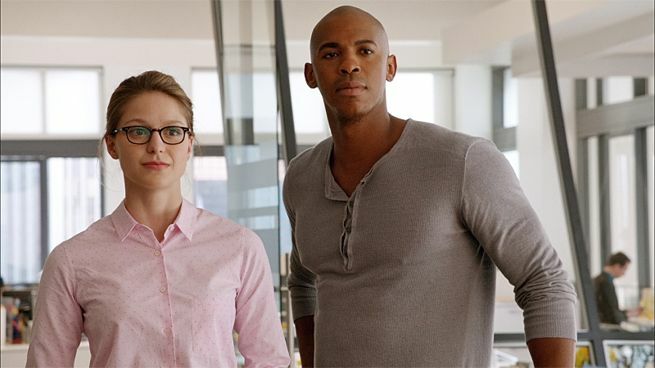 Featuring over six minutes of footage from what may very well be the first few episodes of the show, Supergirl sees Kara as a 24-year old woman who works in a media news corporation in National City owned by Cat Grant. Adopted by the Danvers family after landing on Earth and learning to conceal her powers and identity, Kara has yearned to use her powers for good and be a hero. She soon gets her wish however when danger suddenly turns up and she rushes in to the rescue, revealing herself to the public eye and requiring her to don a symbol and image like her famous cousin. Also starring Calista Flockhart as Cat Grant, Mechad Brooks as James Olsen, Chyler Leigh as Kara’s adopted sister Alex Danvers, and David Harewood as Hank Henshaw, Supergirl is developed by the same prodution team as The CW’s Arrow and The Flash led by Greb Berlanti, and also executively produced by him along with Ali Adler, Sarah Schecter, and Andrew Kreisberg. Supergirl starts airing sometime this November on Mondays in CBS. Next articleWatch: See The CW’s upcoming new superhero spinoff DC’s Legends of Tomorrow!